Get to know this extraordinary western lifestyle blogger! 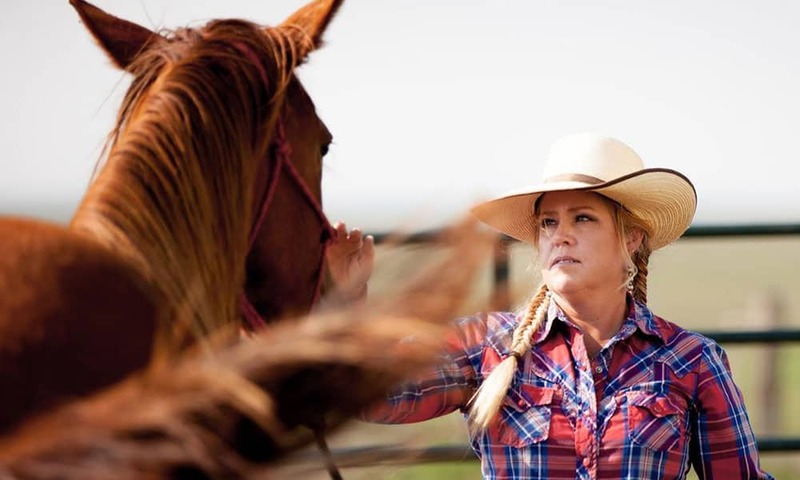 The South Dakota Cowgirl is a western lifestyle blogger and influencer who takes to social media to promote and share her love for the cowgirl way of life. Learn more about this influential cowgirl all while browsing through a selection of gorgeous photos from her Instagram feed! “Hi, my name is Jenn. I figured it’s time to take a moment and introduce myself because there’s so many new faces around here. I’ve got a handsome, handy partner in life and he’s my biggest cheerleader. He’s also the reason I get to run barrels and take all these pretty photos. He does the heavy lifting and I have the fun! He’s got two amazing kids that never cease to amaze me with their talents. I’m blessed to be part of their lives. “In case you can’t tell by looking at my photos, I love horses, barrel racing, and all things ranchy (@thedxranch). I cannot keep our kitchen island clutter free, and there’s always dirt on our floors. But we also live in our barn, so I’ll claim that as my excuse. Well that, and I’d rather ride than clean house. Our @dyson vacuum was the best investment of all time. “I enjoy yoga, coffee, wine, and vodka. And anything handmade: jewelry, horse gear, and everything in between. I have an often naughty but exceptionally endearing border collie named Copper, a collection of cats, and 3 dozen chickens. I love all sorts of critters. “I didn’t grow up with horses or on a ranch. But I got both as fast as I could. I got my first horse when I was 11. His name was Butch and he was a grade (unregistered) appendix bred (quarter horse crossed on a thoroughbred). He was kind and took care of me. We had all sorts of adventures together. I ended up selling him my sophomore year of high school so I had some money to buy a horse that would take me to the college rodeos. Be sure to follow Jenn on Facebook and Instagram to keep up with her adventures!